Achieve develop High Performance People. Ian Webster, founder of Achieve is a highly qualified, very experienced and well respected trainer and therapist. He is available for individual and group work, and although based in the North-West is available to work with clients across the UK and internationally. Hypnosis and Neuro-Lingusitic Programming (NLP) to overcome phobias, smoking and eating disorders. You can also learn NLP to Practitioner and Master Practitioner level in small friendly groups, or if you wish, learn the secrets of hypnosis on your own. Performance Management in Business and Sport. Using the best and latest research from the world of neuroscience and performance psychology, Ian can help you achieve peak performance just when it is needed. Face to face or Skype available. Are you looking for one-off or contract training ? Details under Freelance Trainer below. Please click on one of the boxes below to find out more in the area of interest to you. Please feel free to get in touch with Ian at Achieve directly on +44 (0)1704 571164 or via this link. We will respond within 24 hours and you can discuss your situation in total confidence and without any obligation. Thank you for visiting this website and please do let us know if something is broken or if you would like to see something extra on here. We are working on improving it but you are the most important critic and all feedback is most welcome. 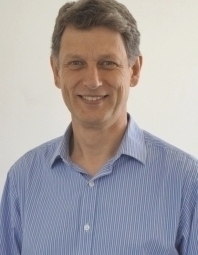 Ian Webster MSc, FCMI, SQHP.